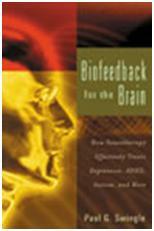 Dr. Paul G. Swingle will share his expertise in the field of neurofeedback at an upcoming workshop taking place on February 11-12, 2014 at the Biofeedback Federation of Europe's Annual Meeting in Venice, Italy. Neurofeedback is the process of providing real-time information electroencephalograph (EEG) recordings about the levels at which brainwaves are functioning. Recent headlines out of Canada tell the stories of four Canadian servicemen who had seen action in Afghanistan, taking their own lives within a 2-week period. Similar tragedies are well known in the UK and USA. These headlines highlight the need for better ways of dealing with challenges faced by combat veterans. An increasing number of veterans as well as emergency services personnel and civilians that suffer from PTSD are turning to neurofeedback as a means of treatment. Neurofeedback is the process of providing real-time information electroencephalograph (EEG) recordings about the levels at which brainwaves are functioning. Vancouver psychologist, Dr. Paul G. Swingle, is among many doctors who use neurotherapy in the treatment of PTSD, but he believes the key may lie in training that takes place before exposure to trauma. 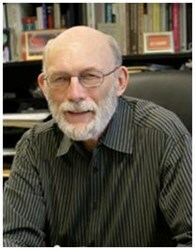 He recently developed a program at the Swingle Clinic in Vancouver, BC. called Precision Neurometrics. The novel biofeedback intervention teaches practical skills to service men and women prior to their deployment to the combat zone as well as after their return. According to Dr. Swingle, "One of the discriminative features of veterans of combat who develop Post-Traumatic Stress Disorder (PTSD) is a severe deficiency in slow frequency amplitude in the occipital region of the brain. Often this is accompanied by a marked elevation of very high frequency amplitude frontally. These conditions are associated with poor stress tolerance, elevated mental activity and perseverative thought processes. These conditions are also genetic in nature. Although heritable, these neurological conditions are modifiable because of the plasticity of the brain. Duty readiness training specifically addresses these specific areas of brain functioning as well as those identified by the general neurological assessment that is part of optimal performance training (OPT). Once the neurological inefficiencies are identified and treated, brain efficiency is optimized and the specific areas associated with stress tolerance, perseverative thought processes and emotional volatility are optimized." He will share these techniques and others in his workshop "ClinicalQ and Braindriving: Fundamental Neurotherapy for Professionals" at Biofeedback Federation of Europe's Annual Meeting scheduled to take place from February 11-15, 2014 in Venice, Italy. The Biofeedback Federation of Europe (BFE) is leading the way to share knowledge in the field of biofeedback through its “Learn From the Best” program which offers a variety of webinars, online classes, courses, software and workshops with applications in healthcare, mental health, optimal performance and sport. Our content is developed independently by International Research & Education Project teams. For more information, visit the BFE Online Shop.